27 Aug 2014 at 1600 HRS the Government of India launched the .bharat (.भारत) domain name in Devanagari script. It is covering eight languages including Hindi, Konkani and Marathi. In few months, it may be possible that in all Indian languages .bharat domain name end of all web addresses. In India, with existing 243 million internet users, has now got its own .भारत (.bharat) country code top-level domain name. In .bharat is access websites in Hindi character also. Top level Domains like .in, .com or .net are extensions instead by .bharat in Hindi script. Individuals of companies are able to book the name in Hindi scripts by using domain name in Hindi language, who is interested owning a website. 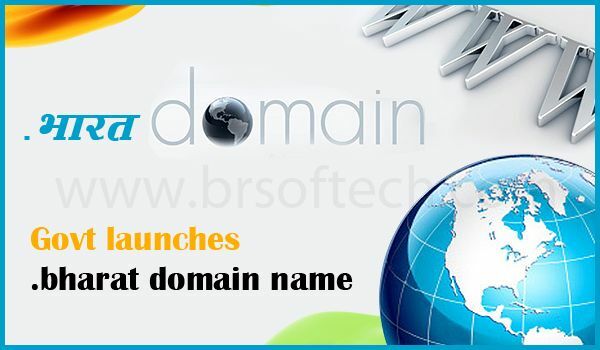 The Internationalized Domain name is use in other languages like Bangla, Urdu, Punjabi, Telugu, Tamil and Gujarati soon launch by the National Internet Exchange of India. “We will connect 60,000 villages with broadband this year, 1 lakh in next year and 1 lakh in following year through the National Optical Fibre Network”, he added. This project aim is provide high speed connectivity. In this connectivity to 2.50 lakh gram panchayats in India (March 2017) and also this project is approximately 35000 crore.